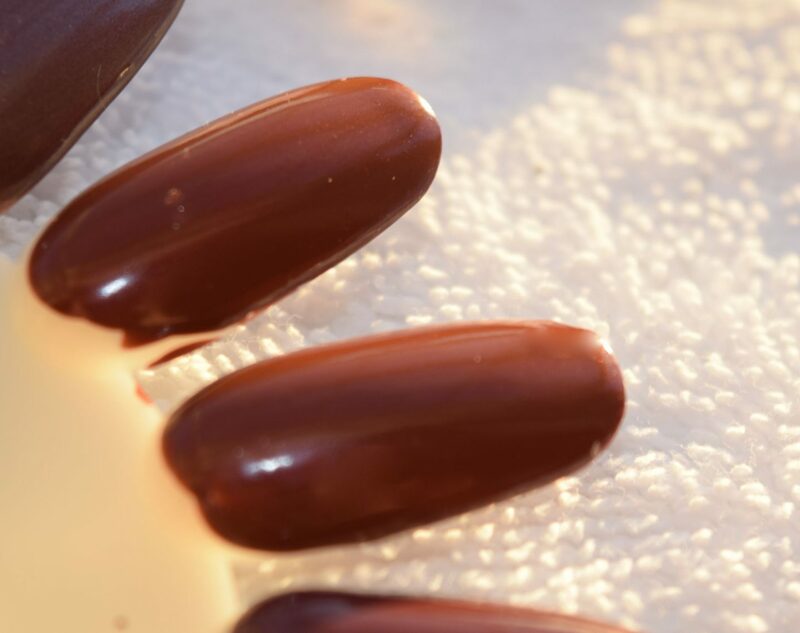 Right in time for Autumn, Mavala have launched their new Symphonic Nail colour collection – a set of five stunning browns which range from chocolate-y to rust and they feel just perfect to wear now that the leaves have turned. I was kindly sent three of the colours, and the first one I tried out was Buenos Aires – a beautifully warm toned russet-brown. 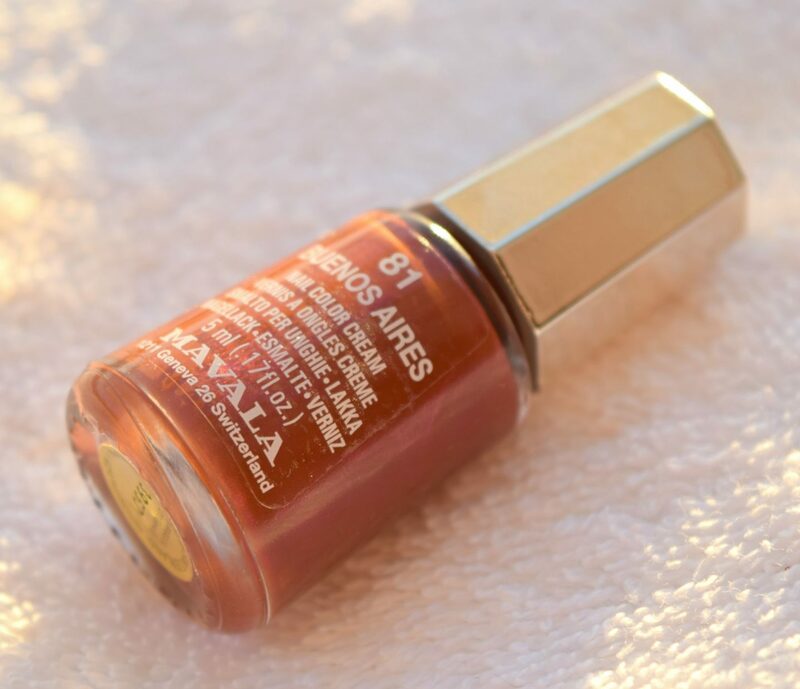 Like all Mavala polishes I’ve tried, the application is absolutely flawless – the polish goes on smoothly and evenly, and it’s completely opaque in two coats. 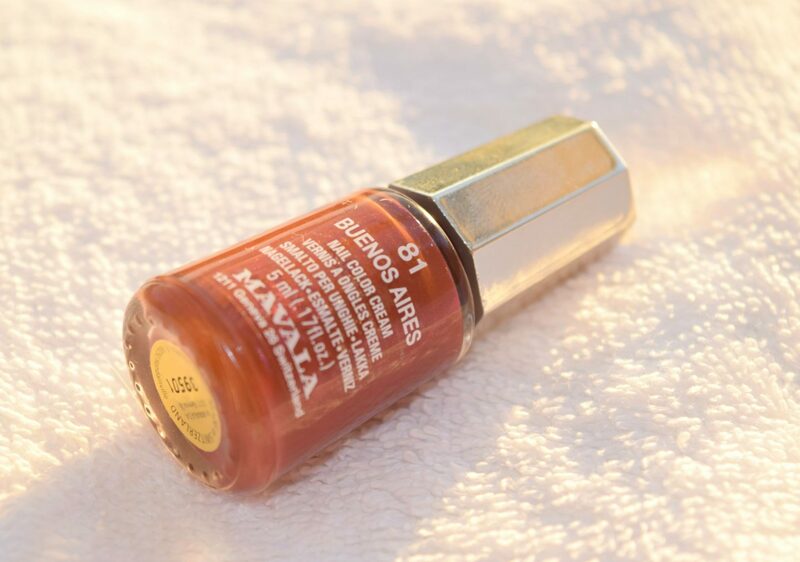 On the nail, I was surprised at how much darker Buenos Aires is than it looks in the bottle, but it’s such a rich, warm toned chocolate. It’s really beautiful, and it’s such a chic, neutral polish to wear.